The older Mantra is, the more it has Baltic origin words. I, even, the oldest of them, like Atha Gayatri mantra, could understand without any dictionary (for word alikeness see the word list below). Veda -> leading path, knowledge to follow, Devas -> God, Buddha -> awakening , becoming aware of surroundings…. -> plenty of such words. ‘’Can it be just coincidence !? No way !’’ - I said to myself and became extremely interested in the Rig Veda, as the oldest of all Vedas. Soon, I came to a conclusion: the Vedas must be the European origin. Sure, the Vedas are known as the Indian holy books, but nobody tells us where the Arians (sorry if you hate this word) came to India from. Just speculations or clearly deliberate lies. What is believed, however: they were blue-eyed and fair-haired. So, I decided to try and see how the mantras would work on me. Chose the oldest, least altered during the thousands of years ,scripts and started practice mantra meditation - something amazing started happening… it changed me in all aspects. It was my second birth. That time, I was born as a spiritual person. Later I combined M & M with my other believes. And what I’ve got now ? 2. Morning Buddha: cold water, yoga exercises, Prajapatis mantra meditation. 3. Organic food only - no preservatives or GMO . 4. Natural clothes, furniture, home … - no synthetic, artificial materials. 6. 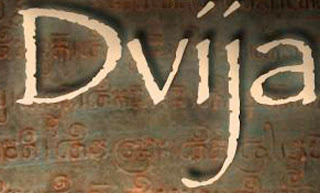 Train and develop physical , mental and spiritual powers in accordance to the Dvija Rule requirements. 7. Be aware of Vedas, Buddha & Christ's teachings, Zen, Avesta, know at least several oldest mantras by heart. 8. Celebrate traditional, authentic ethnic festivals - Radas. made of stones form the Baltic sea, rivers and lakes. 10. Have an old-fashioned, traditional Peris (bathhouse ). a) You obtain control over you emotions and thoughts what enables you to achieve any goals you set for yourself. Disciplined mind is a necessity for prosperity. b) Whatever happens to you - you never lose control of yourself and never get depressed. c) Being able to focus your intensive attention into one subject for a certain period of time - you become incredibly mentally able and creative in any area you are interested in. d) Being able to control your emotions and thoughts, wisely managing your mind in critical situations - you become an excellent leader for your family, community, company, nation. e) Having highly and delicately perfected and masterly managed voice - your social abilities, as well possibilities, are unlimited. f) You do the right thing, you follow the right path , you know it, you feel it and you are happy. g) In the end of the day you acquire powers to cure illnesses. And not only your own. a) You belong to the circle of the wisest the most intelligent and kindliest people on the planet. b) You have sincere, compassionate, understanding friends to talk to the most sophisticated problems. c) You personally contribute to the spiritual and mental progress of the humanity and you get moral satisfaction of it. A) Prajapatis Mantra Meditation is the art of focusing 100% of your intense attention in one area: your vocal cords. ( except when doing Burning Candle, Invisible Man, Weightless Body or Healing Meditation). Everything else should be done, carried out without thought - automatically. B) Although a great number of people try meditation at some point in their lives, a small percentage actually sticks with it for the long-term. This is unfortunate, and a possible reason is that many beginners do not begin with a mindset needed to make the practice sustainable. C) It is not for dummies ! You must be clever ! You must be strong ! D) Your body - it's not you, your emotions - not you, your thoughts - not you. You are Nothing! Something that does not exist. Doesn't exist in material form we know but, still, with a will as a tool, is able to draw attention in a particular area, possesses and manages everything. And that's the subject the PM meditation is designed to improve and make perfect. E) Intense, focused and disciplined attention during PM meditation is a beam of the magic power from a parallel universe where you genuinely reside. F) Attention is the cognitive process of selectively concentrating on one aspect of the environment while ignoring other things. Attention has also been referred to as the allocation of processing resources. Attention is one of the most intensely studied topics within psychology and cognitive neuroscience. Attention remains a major area of investigation within education, psychology and neuroscience. Areas of active investigation involve determining the source of the signals that generate attention, the effects of these signals on the tuning properties of sensory neurons, and the relationship between attention and other cognitive processes like working memory and vigilance. Attention also has variations amongst cultures. The relationships between attention and consciousness are complex enough that they have warranted perennial philosophical exploration. Such exploration is both ancient and continually relevant, as it can have effects in fields ranging from mental health to artificial intelligence research and development. The purpose of this article is to provide 20 practical recommendations to help beginners get past the initial hurdles and integrate PM meditation over the long term. 1) Make it a formal practice. You will only get to the next level in PM meditation by setting aside specific time (preferably two times a day) to be still. 2) Mind the breath. Breathing deep slows the heart rate, relaxes the muscles, focuses the mind. Remember: It will take 2 months of routine, daily practise before you can see the result clearly. 8) Pick a specific room in your home to meditate. If it's possible, make sure it is not the same room where you do work, exercise, or sleep. Place candles and other spiritual paraphernalia in the room to help you feel at ease. 9) Read a book (or two) on meditation. Preferably an instructional guide AND one that describes the benefits of deep meditative states. This will get you motivated. John Kabat-Zinn’s Wherever You Go, There You Are￼ is terrific for beginners. time to practice: it is quieter, your mind is not filled with the usual clutter, and there is less chance you will be disturbed. Make it a habit to get up earlier to meditate. Meditation is an absolutely wonderful practice, but can be very difficult in the beginning. Make PM meditation a habit. It takes 2 months. if you are ably to practice PM meditation for 2 months - after 2 months get your practice to the next level! Mantra meditation predates Buddhism, probably by thousands of years. The origins of mantras go back at least to the Vedic tradition that preceded the Buddha, where mantras were used as incantations to influence, or even to control, the gods. Throughout history, cultures have believed in the sacred power of words, and have believed that uttering certain words or names could control the external world, or control the unseen forces, like gods or spirits, that they believed acted upon the world. We can see that in the English word "spell", which can mean simply to put letters together to make words, or to use words in order to control the world. The words grammar and glamour have the same original meanings. Gramma-techne was the Greek term for the science or art of letters. This came into English as the word grammar, but also came in Scots (as "glammer") to mean "to cast a spell upon". The word ''glammer'' was anglicized as glamour, and came to have its more contemporary romantic and aesthetic associations. So the English language contains fossilized notions that words can have magical powers. This was particularly so for the words that we call "names". Arians believed that if you knew the true names of the gods, then you could call upon them and compel them to do your bidding. Most of people still, it seems, have a lingering belief in the special nature of names. Although early Buddhism used mantras chanting as a means of practice, and used the recitation of verses as a way of cultivating an awareness of the qualities of the Buddha (Buddhanusati), the use of mantras doesn't seem to have come into Buddhism until the rise of the Mahayana traditions, which incorporated elements of the non-Buddhist approach to spirituality known as "Tantra." EVERY matter - from the tiniest DNA strand in us to the largest of continents - is in a state of constant vibration resulting in the emission of subtle sounds. The great teachers of ancient times had the power to listen to the subtlest of these sounds. They discovered that specific sounds energized specific portions of the brain thereby awakening extraordinary powers. They used these sounds to form sacred words that are called Mantras. - The effect of the collective mind energy behind that word due to constant repetition over time. Mantras act upon our bodies by reprogramming the vibrations of the cells that have somehow gone askew. They restore the pattern of sounds at the heart of each and every cell, thus pushing the cells toward harmonious health. Mantras affect not only our physical body but also our subtle body - our emotions, intellect and soul. They positively affect our aura - the energy shields surrounding our body. We hear any word and have an emotional reaction to it. This is because we are conditioned by OUR experiences connected to that word AND the collective emotions that people have towards that word. As an example, the word "mother" when spoken with deliberation, evokes an emotional energy realignment. Just imagine the power of sounds repeated billions of times, with great collective devotion and over centuries! These sounds form the heart of Mantras and deeply influence the energy alignment within us. Repetition of a Mantra is a powerful way of keeping us in the Present and stilling our "monkey mind", which is forever jumping uncontrollably from one thought to another. The moment we inculcate the practice of being "intensely" present - with neither any 'baggage' of the subconscious past nor the remotest anxiety of the future - we, then, automatically experience great peace, profound silence and supreme joy! This, in fact, is the process and goal of meditation and using mantras is a very effective way to achieve it! A Mantra is a grouping of sound vibrations which have an effect on the mental and psychic consciousness. Although traditionally given by a Guru, in the absence of a Guru, the practitioner may choose his mantra. Mantra chanting creates powerful vibrations which are said to be directed to the right "chakras" to attract divine forces. This process is said to mysteriously heal the spiritual, physical & psychological body. It is important that when the mantra is chanted, the words and their rhythm must be enjoyed and one must surrender oneself to this experience. Mantras do not have any specific meaning. Their power lies not in the meaning of the word but through the vibratory effects of the sound that they produced when spoken verbally or mentally. In fact, a Mantra should not be confused with religion. Just because a mantra refers to a Hindu God, it does not mean that it cannot be said by a Christian. Also, a Mantra should not be translated as this has the effect of altering the sound vibrations wherein lies the strength of the Mantra. Repetition of a Mantra forms the basis of Mantra Meditation. Mantras for spiritual evolution should be practiced for a fixed amount of time each day. Repeating a mantra too much may not be right for sensitive or psychic people as it may affect them adversely. Generally, if you repeat a mantra for about 10 minutes every day, then, within a few days you will know whether the vibrations feel right for you. Prajapatis Mantra meditation is a way of self-transformation through the repetition of the sacred words. It focuses on the deep interconnection between sound, mind and body, which can be experienced directly by disciplined attention to the physical sensations that form the life of the body, and that continuously interconnect and condition the life of the mind. It is a journey to the common human root of mind and body that dissolves mental impurity, resulting in a balanced mind full of love and compassion. The scientific laws that operate one's thoughts, feelings, judgements and sensations become clear. 1. Wait at least 20 minutes after a meal ( organic only) to meditate. Digestive processes can interfere with your meditation. Choose a quiet place where you will not be disturbed for at least 15 -45 minutes. You can choose to meditate for longer or shorter periods of time according to your own preference. Choose a length of time that you feel comfortable with. The longer the better . Dim the lights. Turn off any overhead lights. Harsh lights make it difficult to meditate. Close the curtains or blinds. Make yourself comfortable. Wear comfortable, loose clothing. If your clothing is too tight, you will have trouble concentrating on your meditation. You will also have trouble taking the deep breaths necessary to lull you into a deep meditative state. Wear sweats or pyjamas. Choose a candle or candles appropriate to the goal you wish to focus on during the meditation period. Choose your goal or focus for the meditation session. For example, you may choose to meditate on inner peace or healing. Light a candle and put a glass of clean, fresh water next to the candle (on your left water, on the right fire ). Light an incense stick. Sit down in a comfortable chair. Make sure this chair is not confining. You can also sit on a cushion on the floor or on a love seat. Lean your head back. Let go of your cares. If you are upset or excited about something, resolve to totally forget about it for the next 15-45 minutes. Such emotions will distract you from the peace and calm that meditation bestows. Focus on each breath as it enters and leaves your lungs. Feel how your body starts to relax a little more with each breath you take. Slip into a meditative state, allowing your mind to clear naturally. If thoughts start to intrude, focus on your breath and candle flame again. Start chanting the mantra. On the left adopted for English, on the right Lithuanian speakers . 2 Atha Gayatri MantraHoliest verse of Vedas also known as the "Guru Mantra" or the "Savitri Mantra"
Short, shuffled vocabulary, proving Vedas are the European origin.Only some words. Taken from some Rig Veda mantas. Veda - veda = leading power . ………………………………........................................The scientific laws that operate one's thoughts, feelings, judgements and sensations become clear. Some suggestions before the session starts :1. Wait at least 20 minutes after a meal to meditate. Digestive processes can interfere with your meditation. Choose a quiet place where you will not be disturbed for at least 15 minutes. You can choose to meditate for longer or shorter periods of time according to your own preference. Choose a length of time that you feel comfortable with. The longer the better . Choose your goal or focus for the meditation session. For example, you may choose to meditate on inner peace or healing. You may desire to focus on romance or being successful in a particular endeavour. Light a candle and put a glass of clean, fresh water next to the candle(on your left water, on the right fire ). Light an incense stick. Sit down in a padded, comfortable chair. Make sure this chair is not confining. Let go of your cares. If you are upset or excited about something, resolve to totally forget about it for the next 15 minutes. Such emotions will distract you from the peace and calm that meditation bestows. If thoughts start to intrude, focus on your breath and candle flame again.So:Activate The Faith In Your Life ! SKYROCKET Your Self-Confidence to astonishing new levels. Try something completely new and unique ! Choose white or blue candles when meditating on inner peace, protection or purification. Choose purple or indigo candles when meditating on spirituality or intuition. Choose orange or blue candles when meditating on healing. Choose black candles when meditating on the removal of negative thoughts or to eliminate confusion. Choose yellow candles when meditating on strengthening the intellect or creativity. Choose red candles when meditating on passion, energy or power. Choose pink candles when meditating on love, happiness or romance. Choose green candles when meditating on fertility, prosperity or wealth.